The 10 Best Karaoke Bars in North Dakota! Who among us hasn’t wanted to channel their inner pop star and get their groove on the moment we hear our favorite song? We all have a song or two that turns us into our favorite vocalist. 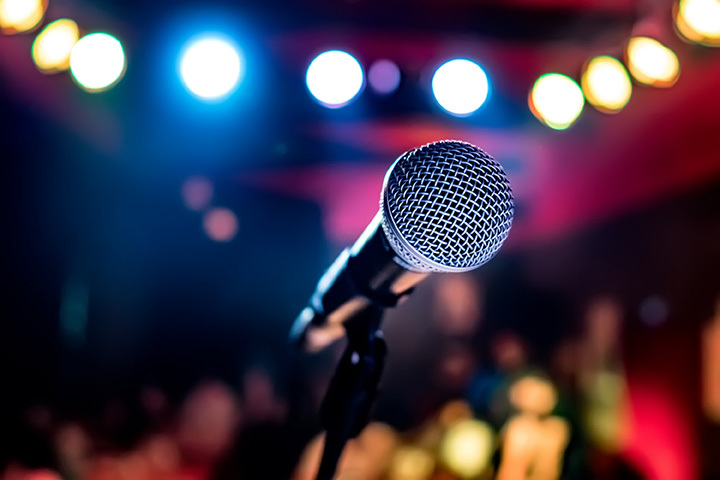 Whether you are an experienced singer or someone who simply jams out in the shower or during rush hour traffic, the following North Dakota karaoke bars can give you your moment in the musical spotlight! A small bar that provides intimate opportunities to socialize, enjoy a cold beer, and of course, get you karaoke on. Nightly specials make a visit even more enjoyable. One of the best live music venues in the area, Rock Point is also home to some of the hottest karaoke. Located on the banks of the Missouri River, the scenic and serene outdoor patio is reason to visit all on its own. When visiting the Magic City, stop by Roosters for the best karaoke in town. The bar is also home to live music and a variety of nightly drink/food specials. DJ nights are also hot! Known as the perfect destination for pull tabs and bingo, the Blind Duck is also hoppin’ on karaoke night. Regardless of your purpose for being there, you will not soon forget a visit to the Blind Duck. The El Roco has been a Grand Forks staple for decades. Karaoke is the entertainment of choice twice a week, with live music, DJ entertainment, and bingo the others. The El Roco is also a great place to take in the big game. Not only does Brick & Barley offer some of the best food and drinks in town, it is also home to some of the hottest karaoke. With over 48 beers on tap, you will have many opportunities to build up your liquid courage as you prepare to pay tribute to your favorite musical act. We all know the Irish know how to party, but did you also know that they can sign with the best of them? If you are out on a Friday night and looking for a jumpin’ karaoke bar, O’Really’s is the place to be. Don’t forget to ask about their nightly drink and food specials. Known as one of the hottest bars in Fargo, especially for college-aged partiers, Rooters is home to karaoke several times per week. Located in beautiful downtown Fargo, a trip to Rooters is an adventure waiting to happen. Karaoke at a bowling alley? Yes, if you’re at the Bowler, which is much more than just a bowling alley. In addition to the best lanes in Fargo, the Bowler is also home to a restaurant and three bars, the latter of which offers karaoke three times per week. Bowling, food, and karaoke— what more does one need? What do you get when you cross award-winning pizza, cold drinks, an intimate and inviting atmosphere, and karaoke? You get the Work Zone, of course. Their food is hot, their beer cold, and their music poppin’. Don’t take my word for it, though. Stop in a see for yourself.